Size: 1205 sq.ft. - 1525 sq.ft. 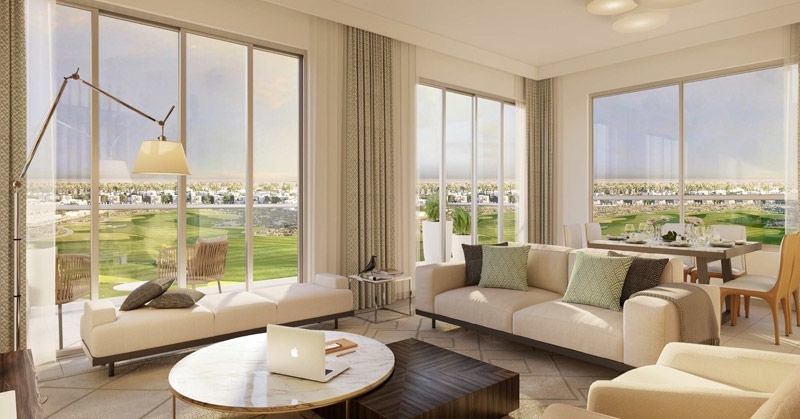 A large sized community by Emaar Properties which was announced in the years 2016 and will consist of apartments, townhouses and other real estate components and developing a new complex named "Golf Views". 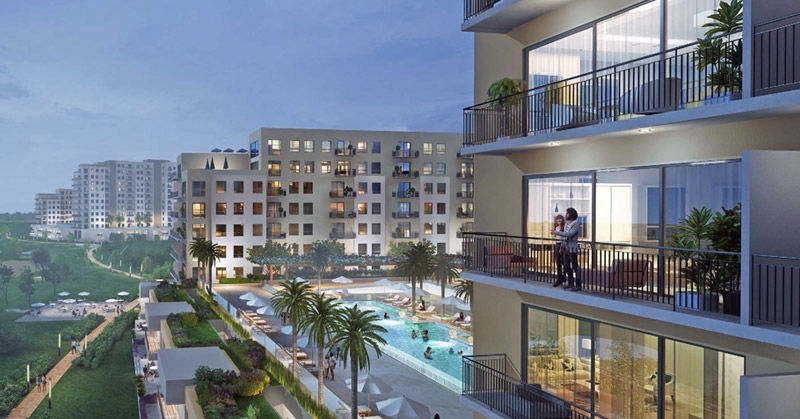 This residential project comprise of Building 1 and Building 2 offering 1 to 3 Bed Apartments with the front view of the 18-course golf associated by picturesque pathways, golf course club and green plazas where the price of the apartments are starting from AED 599,888. 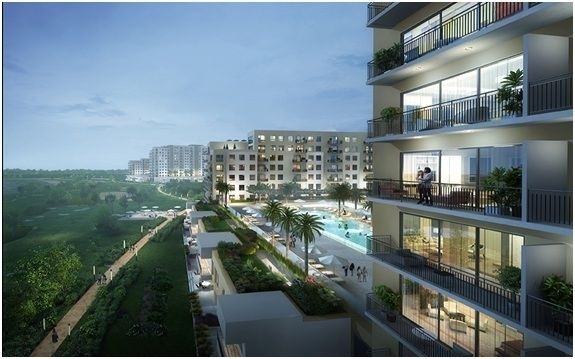 This new exciting project by Emaar Properties is a complex of 2 buildings giving options of 1 Bedroom (built up area of 610 sq.ft), 2 Bedroom (built up area of 910 - 950 sq.ft), 3 Bedroom (built up area of 1,370 sq.ft) and 4 Bedroom (built up area of 2,234 sq.ft. 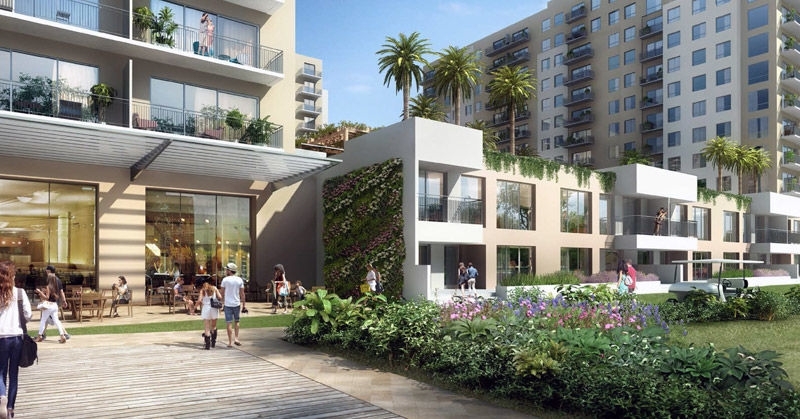 )residential apartmentsdesigned with beautiful interior and exteriorwith eco-friendly environment and at one of the best locations in Dubai. Golf Views also avails 4 bedroom penthouses and 3 bedroom townhouses connected by golf course. Emaar Properties is a developer of integrated large sized community across Dubai and now has a significant presence in several key global markets. The company also has a diversified real estate development portfolio extending across shopping malls, hospitality/leisure & retail. Downtown Dubai is Emaar’s is being home to the iconic Burj Khalifa, The Dubai Mall and The Dubai Fountain. The Golf Views has best connectivity by road and metro. It is close to Al Maktoum International Airport, providing easy access and exit, while the rail and metro network will facilitate communication in the city. The road network along the project offers transportation capacity for the people of southern Emaar.Emaar South is the ideal balance of suburban charm and innovative urban infrastructure. The needs of every kind of lifestyle are taken care of, from personal health and well-being to social life. 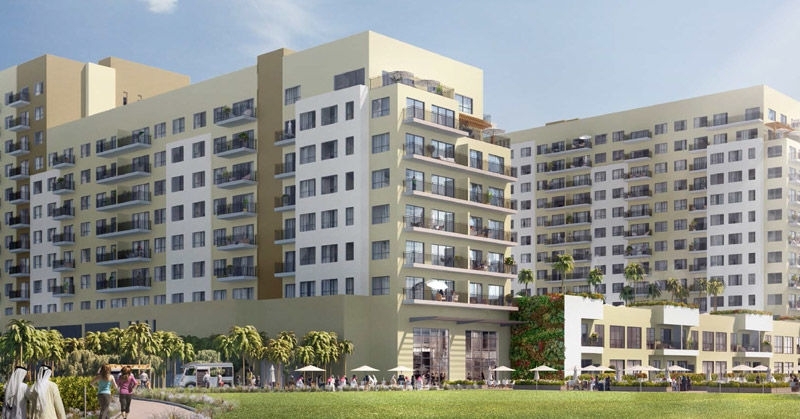 The project also gives access to resort-style amenities and activities with fadeless golf course view from the apartments.It is just minutes away from different dining,schools, shopping, clinics and entertainment/leisure facilities. 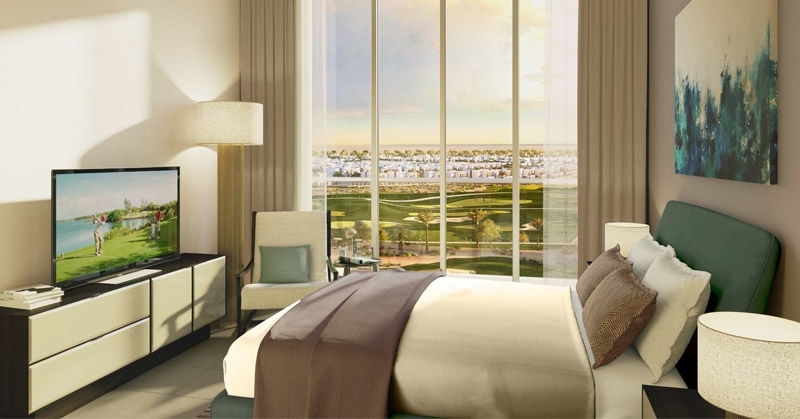 Golf Views project is being constructed at Dubai Bypass Road, in Dubai South, UAE. Golf Views development is completely furnished with n numbers of features and amenities: - 24-hour security, Restaurants, Air Conditioning, Built in wardrobes, Business centre, Central A/C system, Coffee Shop, Concierge facility, Swimming Pool, Covered car ports, Dining in Building, Eco friendly, Exhaust Systems, Internet Access, Kitchen Facilities, Parking and Public transport.